Using graphics to create your brand seems simple enough; after all, you know your business and brand, don’t you? But while you might know your brand you likely won’t know how to get that across using graphics. That’s why many businesses have a graphic designer on their team or hire the services of a freelance one. Graphics incorporate many design elements and using them to create a strong online brand requires a lot of time and patience. But if you want to go it alone and give it a try you can, many start-up businesses will have no choice but to be their own graphic designer. So, to help you use graphics more effectively to build yourself an amazing online brand let’s take a look at some things you need to think about. Building a brand using graphics gives you plenty of options, but it’s easy to get carried away and overdo it, so before you do anything make sure you have at least a basic idea in mind. Brainstorm your ideas with employees or friends so you at least have a rough idea in mind. Don’t be afraid to see what your competitors are doing either or to get inspiration from other businesses. Just take a look at the i3MEDIA site to see how they’ve used graphics to great effect, you shouldn’t plagiarize anything but don’t be afraid to take something you’re inspired by and add your own twist to it. You also need to remember that you’re using the internet to build your brand so it’s all online! This means you have to ensure that graphics you use will work well with the online platform, creating a traditional print advert and creating something for online isn’t the same. Any design choice you make will have to work well and complement the online platform, especially social media which is one of the main benefits of using the internet. There are lots of elements that go into creating effective graphics let’s take a look at what you need to consider. The color and text you use can say a lot about your brand and they’re an important part of brand design work. The colors and text style you use will tell people a lot about your business, for example, bright colors like pink or yellow aren’t likely going to suit your website or any digital promotions if you’re a construction company. Now if you’re selling party supplies or toys for example then brighter colors and more quirky text will match your brand identity. Images follow similar guidelines to the above you need to make sure that the images you’re using complement your designs and speak to your audience. Finding or creating an image is simple enough but finding a way to make it unique and standout is more challenging. Images are an essential part of graphics so think carefully about how you can make your images stand out. When it comes to graphics it can be very easy to fall into the simplicity trap, the simplicity trap is when you think your design is too basic so keeping adding new things to it. Remember when working with graphics complexity doesn’t automatically equal good, while simplicity likewise doesn’t mean something is bad. 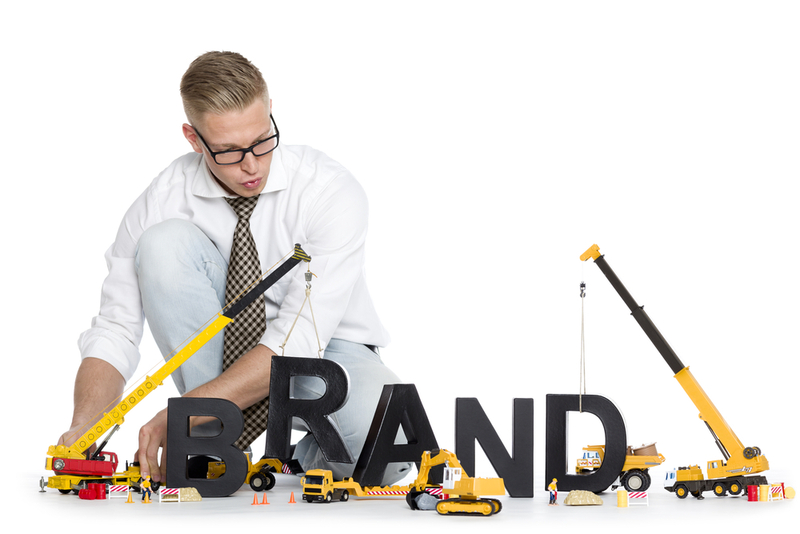 In fact, when working on online branding simple designs can usually work better. Finally, when it comes to branding especially online you need to be sure that what you create using graphics will appeal to your audience. So, before you do anything make sure you have defined who your audience is and how to get your business/ brand to appeal to them. David Varty is a freelance content writer who has written for dozens of different websites. With a strong interest in technology and web design, he enjoys reading and track running when he’s not chasing down a new story.